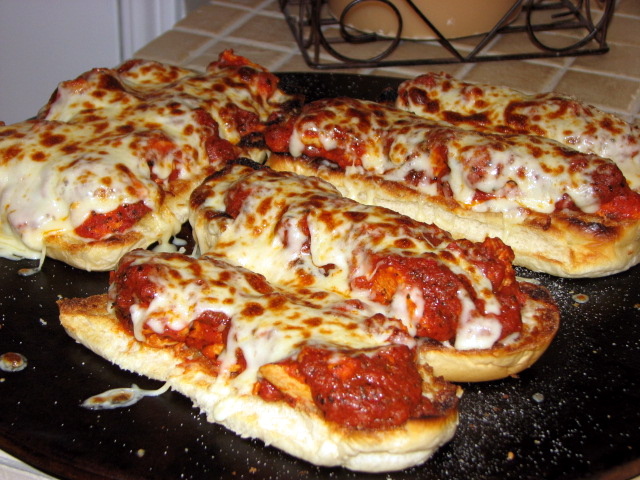 I tried a new recipe last night:: Chicken Parmesan Subs from the RR Everyday magaznine (March 2007). 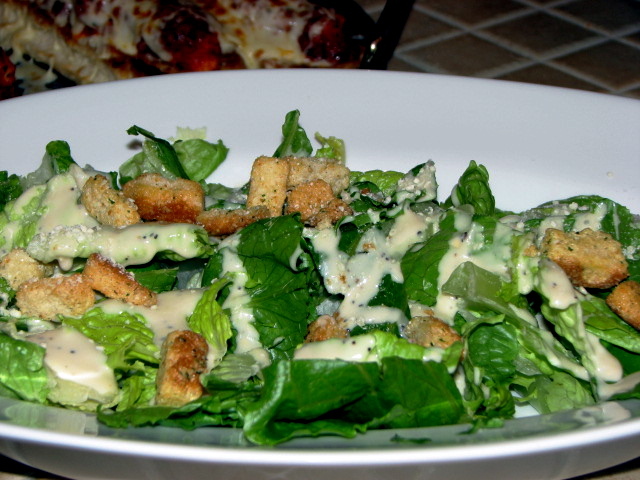 As you can see we had a caesar salad to go with them. We both liked it, but agreed that next time we didn’t want the sauce spooned over the chicken. The best part was the garlic bread. I will never make garlic bread the same again. It was so good when you rub fresh garlic over the top of buttered, toasted bread! YUM-O (as RR would say)! That picture makes my mouth water! I am going to have to make those! Thanks! Yummy! I’m going to have to try that recipe!By the way, Amber has started a blog so she can post pictures of Emmy for me. Well, that’s why I say she started the blog. She may have had other reasons as well. 🙂 It’s linked on my blog. Yum-O for sure! That looks like a great meal! I am so impressed! You put our Moe’s dinner to shame! OMG – that looks delish – do we have the recipe?? yummy! I am def. going to try that one!